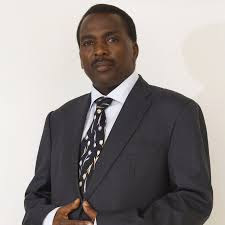 Joseph Ndathi, the Kirinyaga governor is alleged to have paid someone kes 2 million to open him a Facebook page. This comes at a time when governors are being accused of misusing public funds. 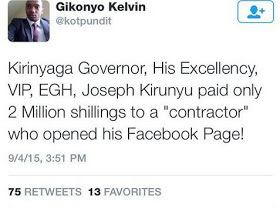 It is rather obvious that Facebook pages are created for free, why 'waste' a whopping kes 2 million.